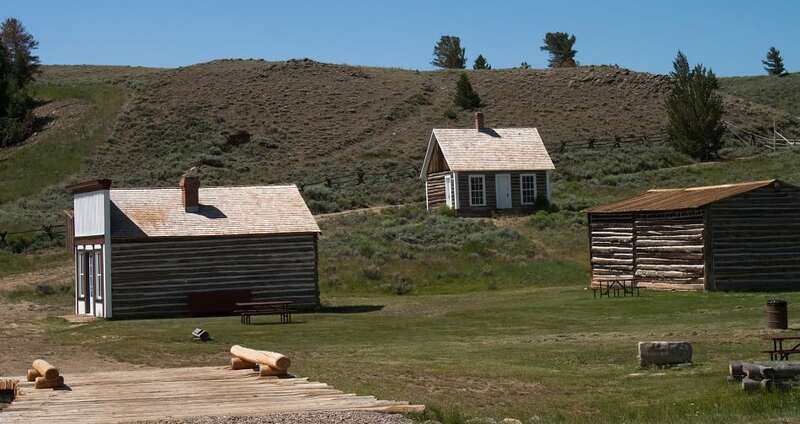 South Pass City was a stage and telegraph station on the Oregon Trail during the 1850s. In 1866, gold was discovered in the area and the Carissa mine began operation. The population grew to about 2,000. In 1870, Esther Hobart Morris became the first woman in the US to serve as a Justice of the Peace and due to her intervention Wyoming became the first state to grant women the right to vote, a right which was not granted women nationally until 1920. However, when gold wasn’t found in large enough quantities, the city’s population shrank dramatically. By the mid-1870s the population shrunk to 100 people and the last of the pioneer families finally moved out in 1949.